Brenda is a 1994 graduate of Trident Technical College where she received her Associate Degree in Health Science. She has been a hygienist at Dr. Huch’s office since 1995 where her gentle nature and love of dental hygiene make her an asset to the practice. Brenda also handles the responsibilities of the front desk assuring that our patients are taken care of from that perspective. 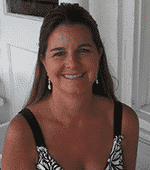 Brenda is a Lowcountry native and resides in Hanahan with her husband and two sons. In her free time, she enjoys golfing, reading, and spending time with her family. 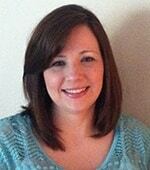 Denise received her certification at Trident Technical College in May 2006 as a Certified Dental Assistant. She has been on staff since August 2008. Denise has a warm personality, and her goal is to make patients feel at ease during their visit. Denise is married and has a son and daughter. She grew up in the Summerville area and enjoys spending time with her family and going to the beach.